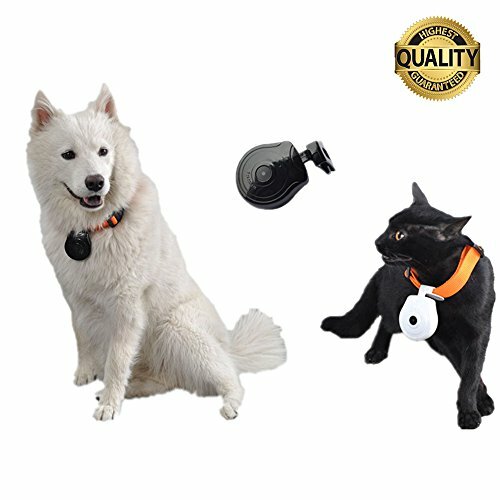 ULLK 16G Automatic Pet Collar Mini Camera DVR Video Recorder Monitor For Dog Cat Puppy | The Best Spy Tech Store Online! ❤️ Eyes from your pet to see the world. ❤️ Record what your pet has done every day ! it can record sound and video at the same time, or auto taking thousands of photos, for those who want to know everything about pet behavior, this is an essential equipment. ❤️ Unique Adjustable Collar design which will perfectly fit for standard cats and dogs. The camera is lightweight and daily waterproof, you do not have to worry about your pet breaking the camera. ❤️ USB charger, compatible with most PC, easy to upload and download video and photo of your pet and share it to Facebook about pets gone done.